Nenet serves our foreign assigned missionaries and bases through her diligence in transferring funds internationally. As an international network of centers and bases, it is important that funds be transferred to important ministry areas in line with international and national banking protocols and regulations. Nenet’s attention to detail is so valuable to our foreign missionaries and ministry. She prays over every cable she sends. Nenet grew up on the Philippines. She became a Christ follower in 1975 through the consistent witness of her oldest brother. In her early years as a believer Nenet was involved in street evangelism in Manila. In the years since then she has served the church in children and youth ministries and in church choirs and worship teams. She met Greg Litzenberger when Global Recordings Network was located in Los Angeles. After they were married in 1991, Nenet joined Global Recordings Network in 1992. She and her husband Greg have 2 adult children. 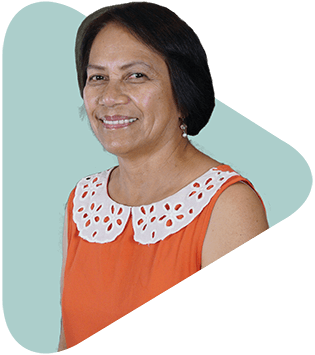 Nenet’s initial training in accounting began at the Mapua Institute of Technology in the Philippines and was continued at Long Beach City college.